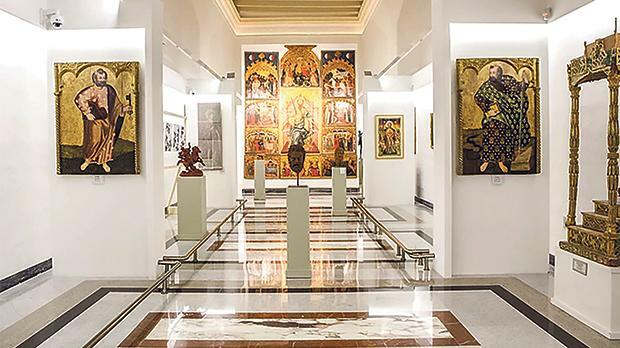 The APS Mdina Cathedral Contemporary Art Biennale is being held at the Mdina Cathedral Museum until January 7. It features contemporary artworks and site-specific installations by 25 local and international artists that all develop upon this edition’s theme ‘The Mediterranean: a sea of conflicting spiritualities’. The participating artists are from Malta, the UK, the US, Germany, Austria, Russia, Jordan, Israel, Greece, Lithuania, Georgia, Latvia, France, Lebanon, Poland, Serbia and Australia. The exhibition is curated by Giuseppe Schembri Bonaci, Nikki Petroni and Melanie Erixon and is accompanied by a fully-fledged catalogue with essays written by academics and the curators. The exhibition is open at the Mdina Cathedral Museum from Monday to Saturday between 9.30am and 5pm (last admission 4.30pm) and from November 19 up to December 31 also on Sundays at the same times, including Christmas and New Year’s Eve. For details and tickets, visit www.mdinabiennale.com.